Cable Beach is renowned as one of the most stunning beaches in the world, with twenty-two kilometres of pristine white sands fringing the turquoise waters of the Indian Ocean. Washed clean every day by tides that can reach over nine metres, Cable Beach provides the ideal safe environment for swimming and relaxation. Caution however is required between November and March when stingers may be present. Cable Beach takes its name from the telegraph cable that was laid between Broome and Java in 1889 and today it provides the perfect location to enjoy the magnificent Broome sunsets. There are a variety of watersport activities available. For a really unique experience you can join the sunset camel rides that operate daily along the beach. Broome simply oozes with colour. It’s Western Australia’s secret getaway – right on the doorstep of the Indian Ocean and the gateway to Australia’s last frontier of pristine wilderness – the Kimberley. From its rough and tumble, romantic pearling history and the cosmopolitan character of Chinatown, to the turquoise waters, red sandstone cliffs and the endless expanse of white sand at Cable Beach-the colours and moods of Broome will capture your soul. You’ll never want to leave. Broome owes its existence to the Pinctada Maxima – the world’s largest pearl oyster shell – discovered in Roebuck Bay in 1861. The giant pinctada shells caused a sensation overseas and soon a melting pot of nationalities flocked to the shores of Broome in the hope of making their fortune. Japanese, Malays and Koepangers joined the Aboriginal pearl divers, whilst the Chinese became the shopkeepers in town. Today, remnants of Broome’s exotic past are everywhere. The town’s multicultural society ensures a wonderful array of gourmet cuisines, colourful characters and cultural influences. Pearling still remains a thriving industry and the world famous South Sea pearls feature in Chinatown’s string of pearl galleries. Broome’s climate is also something to boast about with warm sunny days, balmy nights and spectacular storms during the tropical summer season. Not to mention the unforgettable spectacle of sunset on Cable Beach! 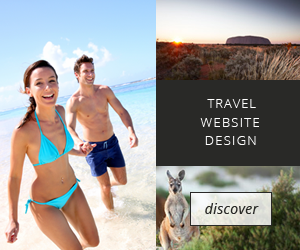 For further information about Broome and Cable Beach, please visit the Broome website.